A field office is a facility that handles scheduled interviews on applications related to non-asylum individuals. Additionally, they supplement USCIS customer services already provided by phone or on their website, as well as providing limited information. 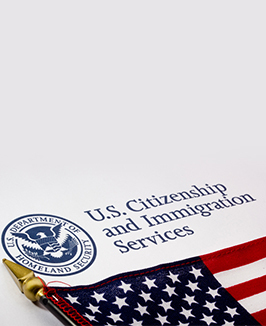 It is recommended that individuals consider the more convenient USCIS services offered by phone and on the website before taking time out of their day to visit a field office for their limited services. If you determine that you do need to visit a field office, it is highly recommended that you make an appointment for a time at which you will be provided with in-person services. Wait times can be minimized by making one of these appointments prior to your arrival at the field office. Regarding filing services, you can also minimize the time that you spend at a field office by filling out an application by mail or e-file it online. Petition forms and applications have instructions on them for you to follow. After you have filed, call customer service or use the website to check processing times. This will allow you to see how long processing may take for your individual case. Should you need another service, move to another address, or suspect that there may be an issue with your case, a variety of case services are offered. These services can be completed either after your application or case has been completed or while it is pending. Regarding making an appointment, even if you use customer service by phone or the website you may be requested to physically come in and speak to someone at a field office. Again, it is advisable that you make an appointment prior to your arrival. Your case will be delayed if you do not appear as requested. Additionally, this could ultimately mean the denial of your petition or application or directly affect your eligibility for benefits.